The country’s central bank says the mobile phone group’s local unit illegally paid $8.1 bln to its South African parent. Though MTN denies wrongdoing, its shares are down more than a fifth. Blocked payments from its most lucrative market would threaten MTN’s punchy dividend plan. A worker attends to a customer at an MTN shop at a mall in Johannesburg, South Africa, March 2, 2017. 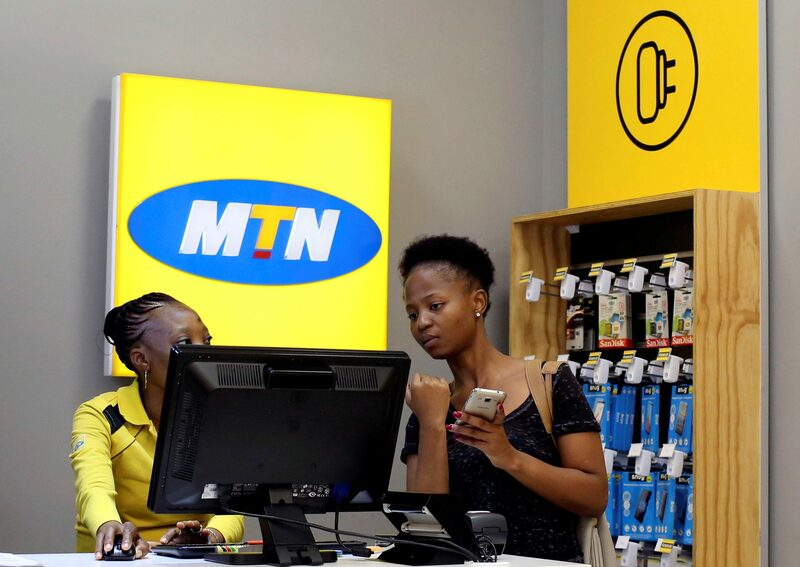 Nigeria’s central bank said on Aug. 29 it had ordered South African mobile phone group MTN to return $8.1 billion that the bank says was illegally exported as dividends. The central bank also said it was fining Standard Chartered, Stanbic IBTC, Citibank and Diamond Bank in relation to the payments. MTN said on Aug. 30 all dividend payments were legitimate and correctly documented. The Johannesburg-based firm added it was engaging with Nigerian authorities to resolve the issue. MTN shares were down 21 percent at 84.72 rand by 0915 GMT on Aug. 30.